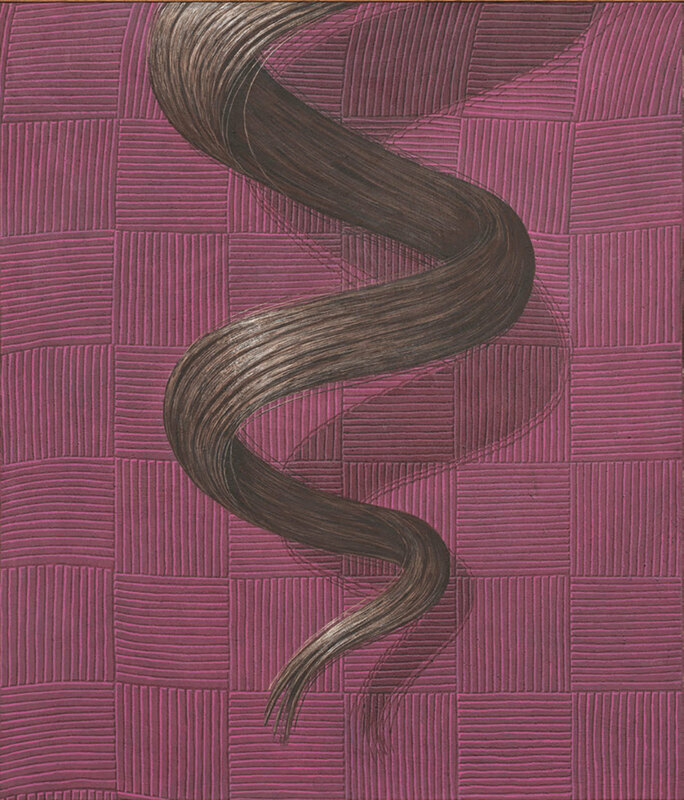 Domenico Gnoli, Curl, 1969, acrylic and sand on canvas, 54 3⁄4 × 47 1⁄4". “A commodity seems at first glance to be a self-evident, trivial thing,” Karl Marx famously wrote in Das Kapital. “The analysis of it yields the insight that it is a very vexatious thing, full of metaphysical subtlety and theological perversities.” “Detail of a Detail,” Luxembourg & Dayan’s second exhibition devoted to the late Italian realist painter Domenico Gnoli, was riddled with superficially innocent, deeply vexing items: the prim knot of a red necktie, a tooled-leather brogue, a starchy white collared shirt, a floral damask duvet. Violently uprooted from their respective milieus and impacted against the picture’s surface, these artifacts of postwar Italy’s embourgeoisement are fully frontal and too close for comfort, ostensibly withdrawn from meaning yet disposed to fetishistic vitalization.